Beer has just four ingredients. Yesterday we examined three of the elements that give each brand or batch of beer its individual personality: Malt, Hops, and Water. The day before we looked at the two kinds of Yeast brewers use for fermentation, which determine whether your beer is an Introverted Ale or an Extroverted Lager. So what is your Beer Personality? The chart above identifies three dimensions. First, representing yeast, the blue diamonds on the chart show which types of beer are ales; the red triangles show lagers. The diamonds and triangles remind us some traits involve dichotomies, even though most other beer characteristics are located on a continuum. Just like human personalities. Second, representing malt, the chart arranges the various types of beer from lightest to darkest. Third, representing hops, the least bitter beers show up closest to the bottom of the chart, with more bitter beers arranged increasingly higher up. Notice how the wussy taste of “US Lager” and “Lite Lager” places both beverages near the bottom left corner of the chart. And remind me not to try their bland neighbor “Berliner Weisse." 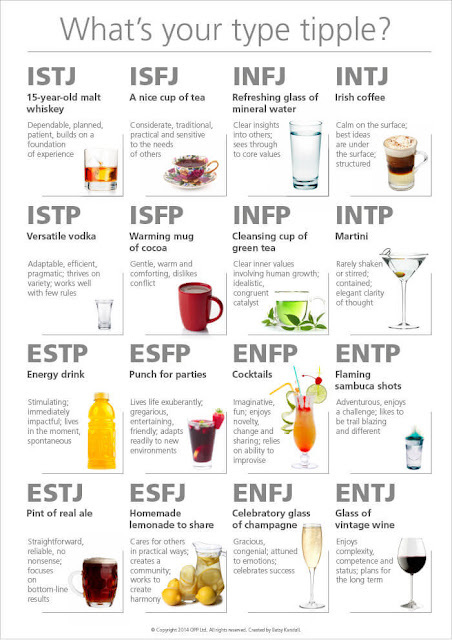 I realize you’re going through Myers-Briggs withdrawal. So I figured you'll need a fourth dimension if you’re going to take your Beer Personality seriously. We have various alternatives: alcohol level, type of grain, pH balance, fruity bouquet, and so on. In the interest of symmetry, I’ll go with carbonation because beer’s fourth ingredient is water. “Head” is the frothy foam on top that forms when you pour your beer. Finally released from confinement, tiny carbon dioxide bubbles rise to the surface, dragging teeny bits of grain, yeast, and hop residue with them. Once opened, eventually all the beer's CO2 bubbles escape into the atmosphere, leaving you flat. Brewers tinker with carbonation levels by adding sugars at various points in the brewing process. “Unfiltered” beer is often sealed with yeast that continues fermenting in the bottle, adding increased alcohol and carbonation to the final beverage. Indeed, the flavor of high-alcohol beers like stout improves with age. In contrast, even in sealed bottles, low-alcohol filtered beers like Bud will go flat and expire within six months. Kegs are “force carbonated.” Additional carbon dioxide is pumped into a refrigerated keg of beer, where it absorbs into the liquid within a couple of days. As a personality trait, carbonation is another continuum rather than a dichotomy. 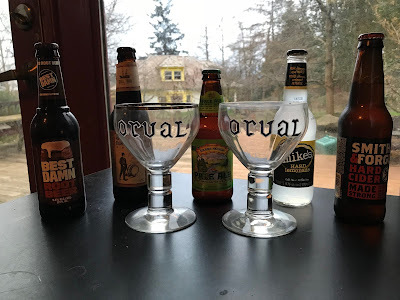 Carbonation is measured in “volumes” of carbon dioxide – one liter of CO2 dissolved in one liter of beer is “1 volume,” and two liters of CO2 dissolved in one liter of beer is “2 volumes.” Beer carbonation volumes range from 1.5 for British Ales, to 4.5 for Fruit Lambic. Most types of beer are in the the mid-2 range. Here’s a handy online calculator for setting the correct pressure on your keg, depending on the precise style of beer you ostentatiously ordered for your frat party. According to our chart, my Beer Personality Type is APBC. I’m an introvert. 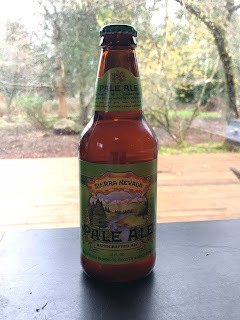 More importantly, all lagers leave me with an icky aftertaste – not just Bud and Miller – so I generally stick with ales whenever possible (A). I prefer malt with a medium roast, which puts me in the pale midzone of the chart (P). I’m a pretty bitter person; coincidentally, I like bitter beer (B). And I like to taste some carbonation (C), although not so much that I fizz all over myself. Just as Myers-Briggs tests invariably point me to INFP, beer taste tests send me to the Pale Ale aisle for beer with an APBC personality. I actually like a several other examples of differing beer styles. 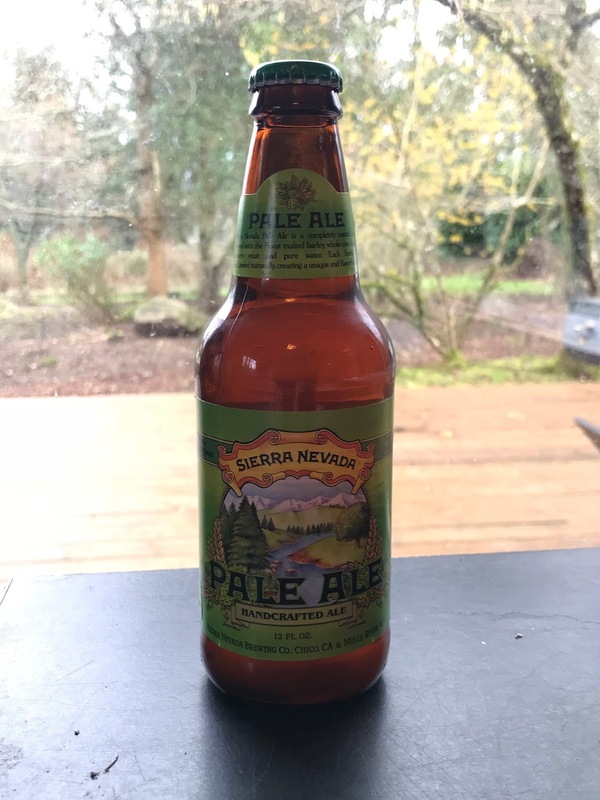 But my regular go-to beer is indeed Sierra Nevada or Mirror Pond Pale Ale, preferably on tap. Bingo. Belgians take their beers so seriously each comes with its own dedicated goblet. 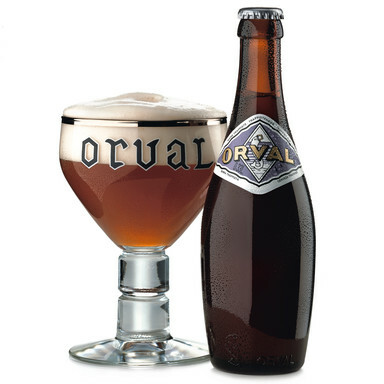 Belgian bars stock an ample supply of each, including Orval, Duvel, and the more familiar Chimay. Orval’s relatively high carbonation requires a wide glass and a careful pour. Growing up pathologically Mormon, I never even tasted alcohol (or coffee) until I was twenty-five years old. Beer’s disgusting smell convinced me I’d never want to try it. Happily, it turns out I’m only disgusted by bad beer. As you may have noticed. I’m not really suggesting people's taste in beer offers a window into their individual personalities (and I’ll try not to judge as you reach for your Bud Light). Rather, exploring the patterns created by beer’s four simple ingredients reminds us there are countless potential pleasures in life that look intimidating, but that are nevertheless worth a little effort to figure out your own very individual taste. If we were talking about wine, I'd say Chacun à son goût. (“Each to his/her taste.”)1 But my advice is exactly the same whether you’re eyeing beer, wine, classical music, coffee, sculpture, cooking, mystery novels, twee singer-songwriters, or strange Asian cuisines: try lots of different things, remember what you like, pick up the lingo, look for patterns, educate yourself, and find folks who share your tastes. Repeat repeatedly. Then calibrate whatever you select with moderation. And have fun. 1Dammit, in searching for online examples of accents grave and circumflex that I could cut and paste into my text, I learned from Wikipedia that I’ve adulterated myself with the Quebecois version of the classic French proverb. Beer is not poutine. Does anyone know a suitable Bavarian German bromide I can substitute? 3Shout out to my Chicago boyfriend Skinny Pharmacist, who taught me everything I know about both wine and whiny female vocalists. I have never been higher in my life than when he took me to the annual mega-tasting of California whites. Even when you dutifully spit, 300 sips are too many. I still haven’t gotten around to mastering hard liquor or foofy cocktails, so I'd love to hear from folks who are interested in volunteering their guide services. In the meantime, you’re welcome to join me on the deck in Bellingham for Orval, Sierra Nevada, cider, and/or root beer.